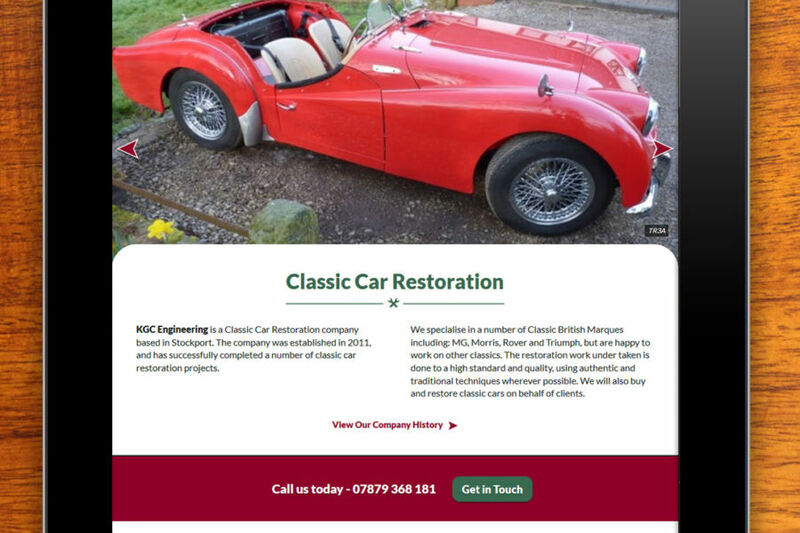 KGC Engineering are classic car restoration experts based in Stockport. 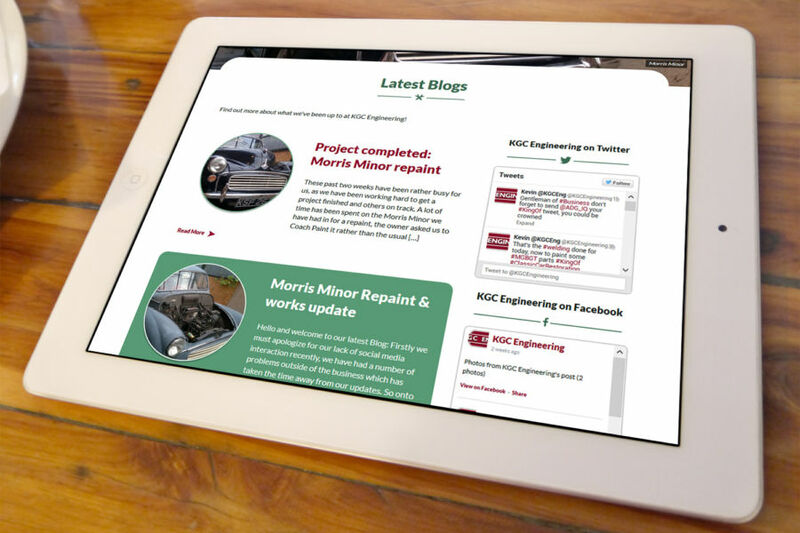 I was approached by Kevin, the founder of KGC Engineering, to redesign their existing website to celebrate the company’s third birthday. 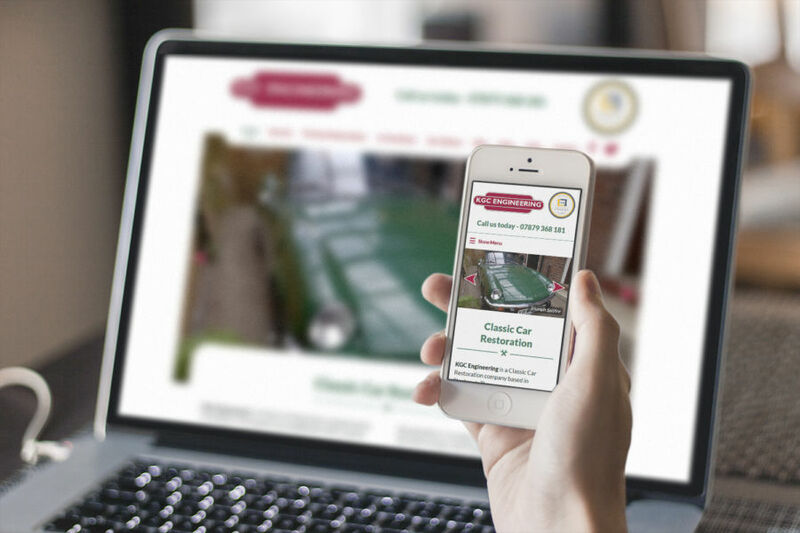 Working closely with Kevin, I designed and built a modern website which he could easily update himself and looked great on phones as well as wider screens. 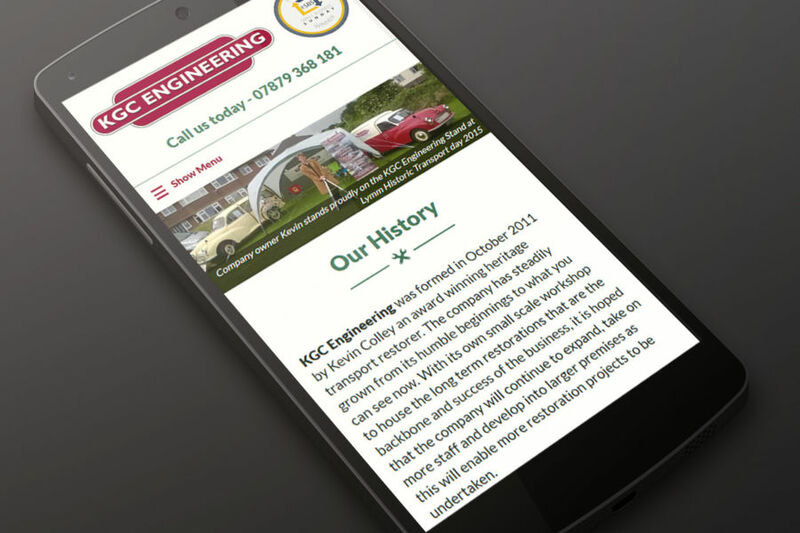 I opted for a clean, flat design that really showed off the brilliant photography I was supplied with and chose a green colour scheme which both contrasted well with the company logo and emphasised growth and rejuvenation which is in keeping with the nature of the work that KGC Engineering do. I also took inspiration from vintage British railway signs, which lead to the creation of the crossed spanners motif used through the site. This also influenced the use of the Lato font as a nod to the font Gill Sans, which was used on the original rail signage in the United Kingdom. The site itself was built from scratch using WordPress as a content management system. With the use of the Advanced Custom Fields Pro plugin, I was able to create an improved version of the standard page editing experience which we agreed was both intuitive and easy to use, allowing Kevin to update each page himself and add projects to his expanding portfolio of restored cars. Paul is very thoughtful and was understanding to each of my needs and requirements. He will work with you to create the perfect website!